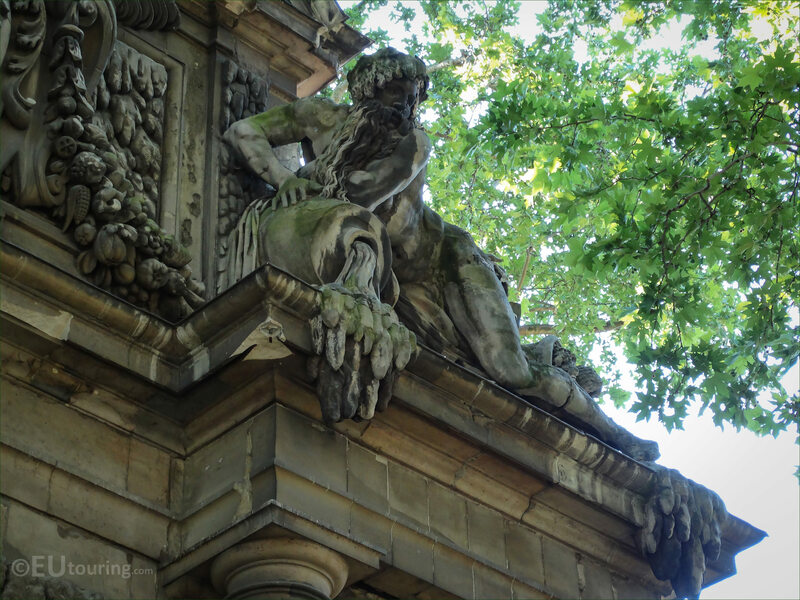 We took this high definition photo showing a statue of the River God, which was sculpted by Francisque Duret, and this is located on the pediment of the Fontaine Medicis within the Jarding du Luxembourg in the 6th Arrondissement of Paris. 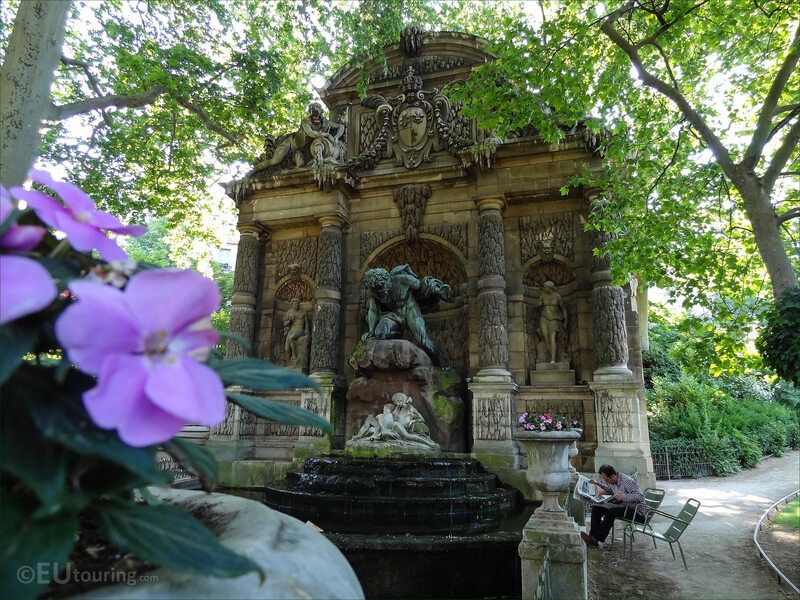 The Fontaine Medicis is an historical water fountain, which is called the Medici Fountain in English, and originally constructed back in the 1600s, it has had changes over the centuries, and this particular statue of a River God was put in place in the early 1860s. This was actually sculpted by Francisque Duret who was born in Paris in 1804 and followed his father, Francois-Joseph Duret, to become a French sculptor, yet apart from studying under his father he was also taught by Francois Joseph Bosio and came joint first in the Prix de Rome in 1823. So having furthered his studies at the Villa Medici in Rome, upon his return FrancDuret received numerous public commissions for different statues and sculptures for popular tourist attractions in Paris including working on a fountain in the Jardins des Champs Elysees and on the Saint Michel Fountain. Plus he created two equestrian statues for the Cirque d'Hiver, not forgetting this statue of the River God, which can be found to the right hand side of the Fontaine Medicis next to the top pediment.